The weekend is for baking. This is a time when you can take this slow and really enjoy the baking process. 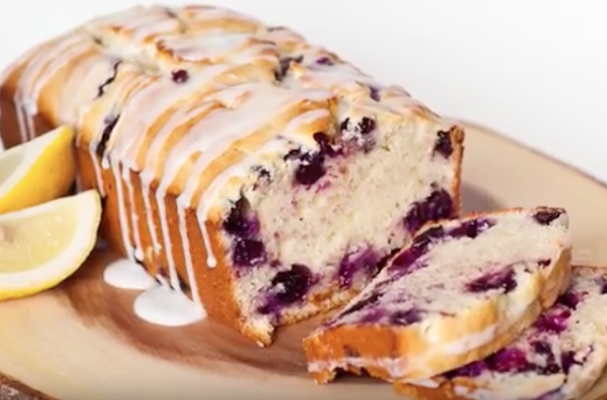 One of my favorite treats to prepare is a lemon blueberry loaf cake because it only takes an hour and a half from start to finish. That means that I can feel like a domestic goddess while allotting time to do other things during my time off. The loaf cake is perfect for special occasions too (hint: Mother's Day is coming up). I just love the contrast of the pale yellow cake with the burst of purple blueberries. What is your favorite thing to bake on the weekends? Let us know in the comments section below!